Everybody knows that a healthy diet and regular exercise provide you with the best opportunity to lose weight. It is the safe and natural way, but for many people, this is easier said than done. Also, some people find it harder to lose weight than others, regardless of how hard they try. And this explains the popularity of weight loss products such as Phenocal™ . Pennocal™ is primarily a vitamin supplement which also contains minor energy boosters like green tea & Yerba mate. Hence in theory you can not call it as a fat burner. These ingredients are not known to causes any sever side effects. However, its weight loss effects are still not clinically proven. Now let’s have a looks at supplements facts below. What does customers reviews reveal? 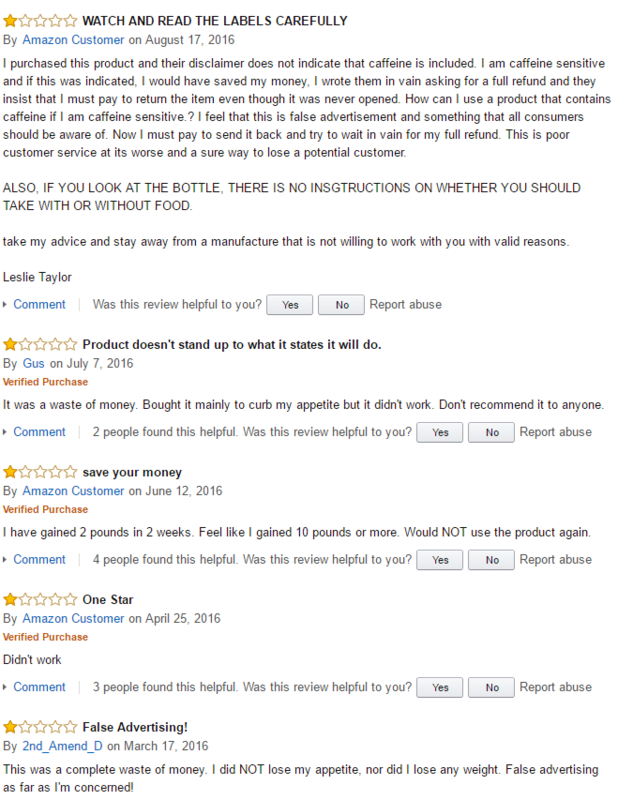 The great thing about shopping online is that you can actually research consumers feedback on genuine marketplace like Amazon. Although it is possible to manipulate ratings using ghost customers you can still get better understanding. As of writing this post, there are about 45 customers feedback on Amazon. Out of which 47% are 1 star, which means nearly 50% users absolutely did not like it. Since Amazon doesn’t allow zero star the true story could be even bad! Those positive reviews were written few years ago. Now carefully analyze most recent customers feedback. Very disappointing, isn’t it? All Natural Ingredients – The fact that Phenocal contains only all-natural ingredients is something which is likely to appeal to many people. However, it is worth noting that many of the ingredients can also be found in a huge variety of dietary supplements. Appetite Suppressant – These weight loss pills are said to suppress one’s appetite, which, if true, naturally makes it easier for the user to resist the urge to snack between meals. Quite often, it is uncontrolled snacking in between meals that contribute to weight gain, so anything that can help you to avoid this trap is likely to result in a certain amount of weight loss. Energy Booster – Phenocal fat burning pills are also designed to boost one’s energy levels. With energy levels moderately elevated, you are more likely to be more active than usual, and this naturally means that your metabolism will be elevated as well, which in turn can result in quicker weight loss. Money Back Guarantee – This product comes with a no questions asked, full money-back guarantee. If you are not happy with the product, you have 60 days in which to return it for a full refund of the price you paid, less shipping costs. Dosage – According to the manufacturer’s official website, users are advised to take three pills twice a day. Once just after breakfast in the mornings, and again about four hours later just before lunch. This means you essentially have to take 6 pills per day, which in turn means that a $39.85 bottle will only last for just under one month. While this might not be unreasonable, it will no doubt be a bit too expensive for many people. Visible Results – Although some users witness positive results within a very short space of time, visible weight loss may take up to one month or more. 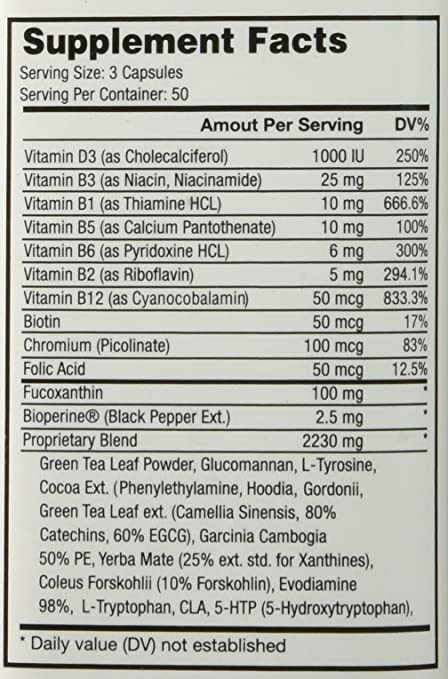 Ingredients – While the manufacturer claims that this product has been proven to work, it is worth noting that many of the ingredients are actually very common in dietary supplements, and there isn’t much scientific evidence as to whether or not these ingredients are beneficial to one’s health. 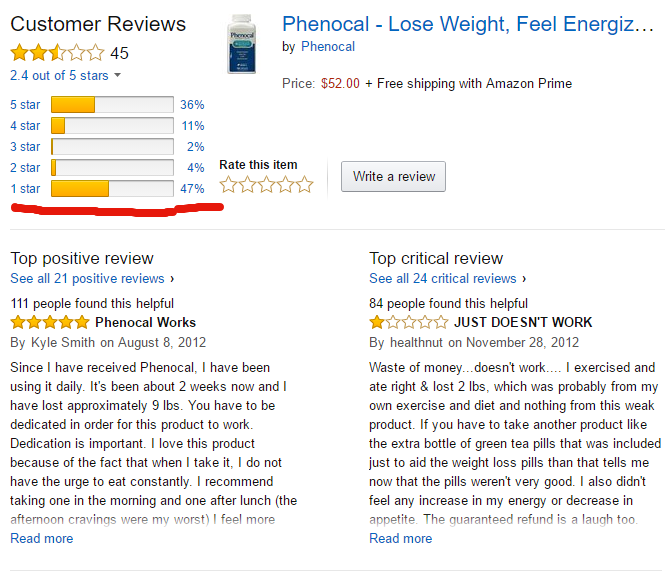 Phenocal appears, on the surface, to be a legitimate fat burning dietary supplement. Further it is backed by a generous 60-Day money-back guarantee which suggests that the manufacturer is confident about the product being able to do what they say it can do. However, I do believe that these pills are a bit too expensive. Especially when you consider the fact that you are meant to take six a day. Personally, I believe there are cheaper and better fat burners on the market.